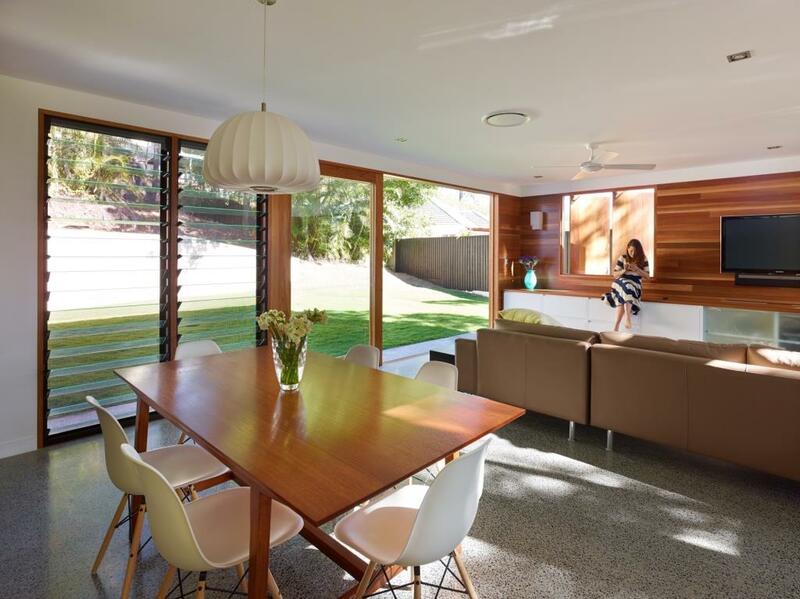 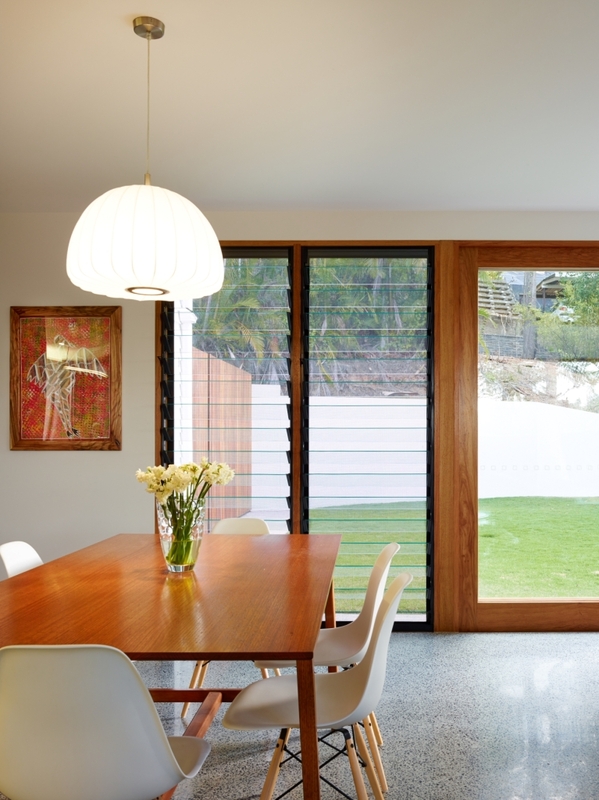 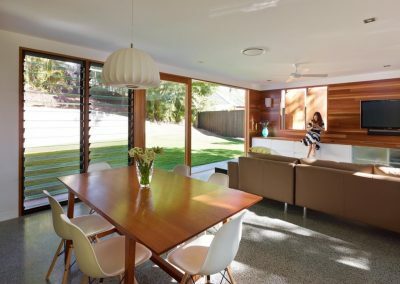 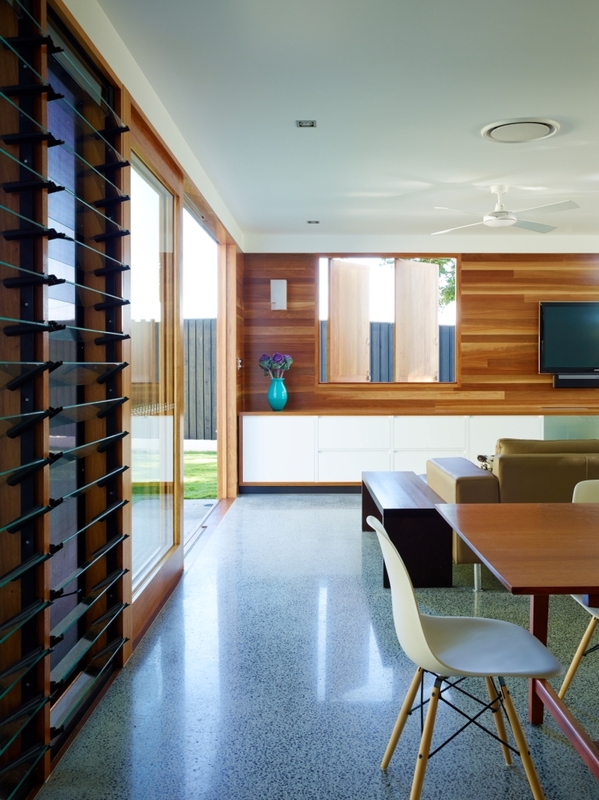 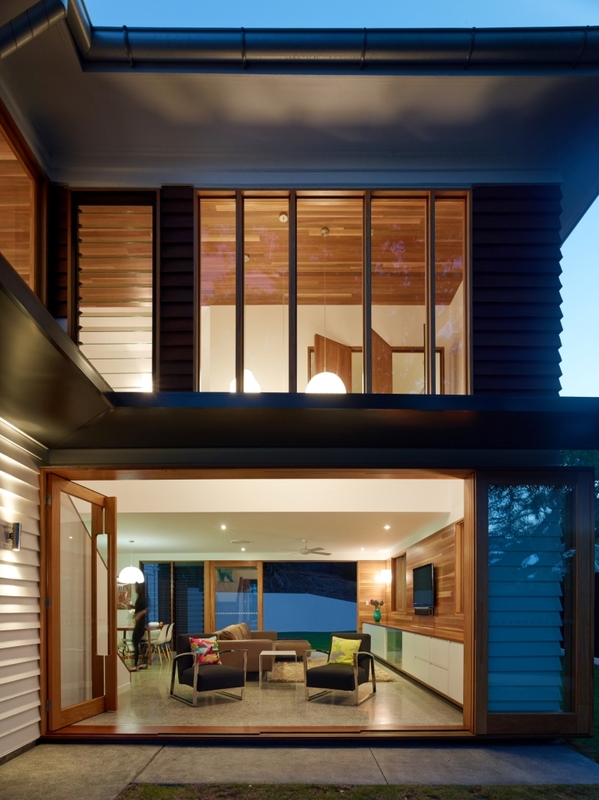 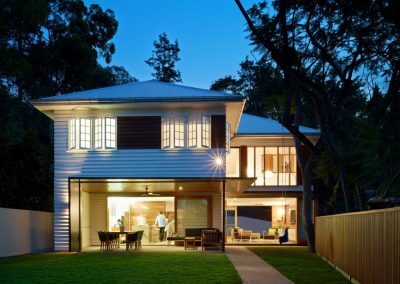 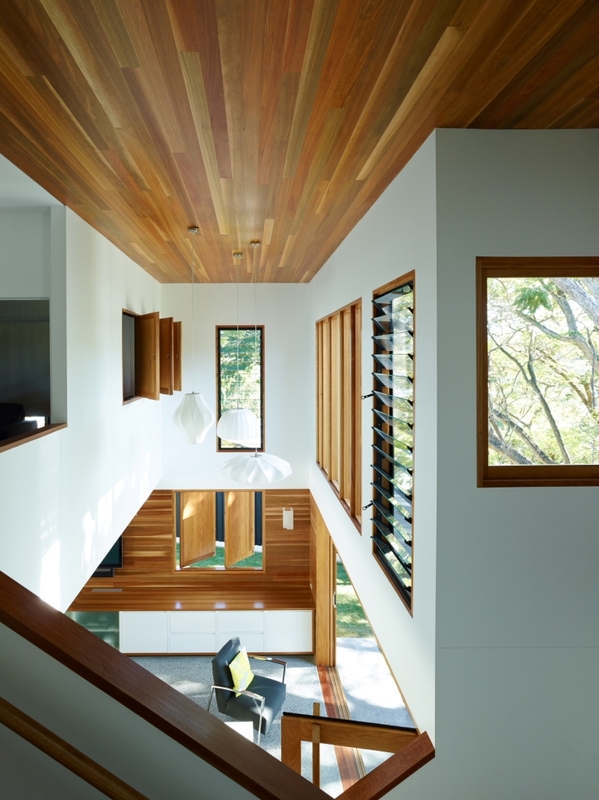 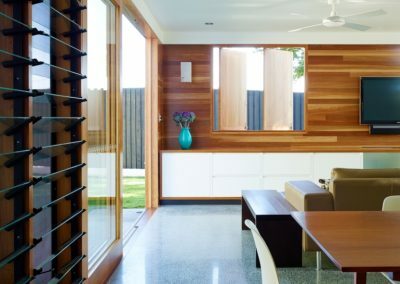 The Post- Post-war House involves the transformation of a dilapidated suburban cottage into a contemporary, open plan, light filled family home. 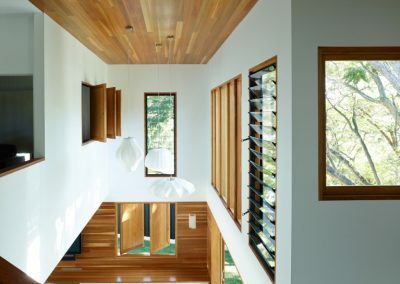 Along with an embellished materials palette of timber, marble and concrete, the architecture plays on dramatic internal volumes and unobstructed transitions between the living spaces and the private front and rear courtyards. 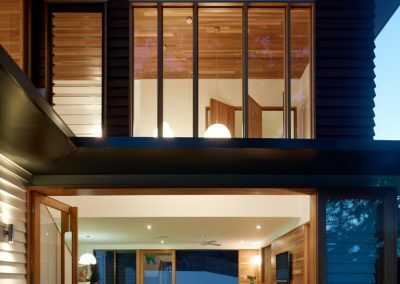 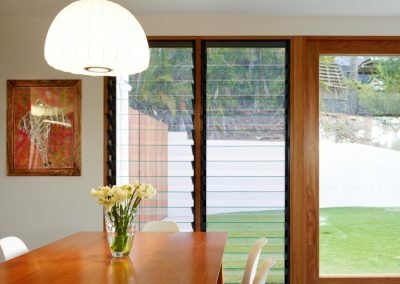 Breezway Altair Louvre Windows have been incorporated into the design to help open up the home and allow occupants to connect with nature while making the most of natural breezes to keep the home feeling fresh.